Intel Coffee Lake fever seems to have hit some of the world’s leading vendors. 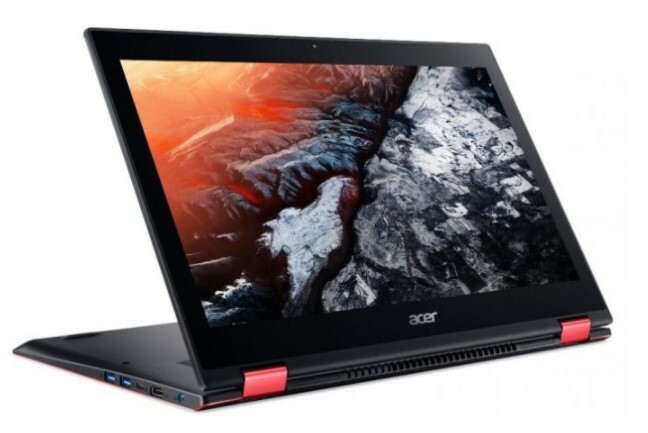 Not to mention the case Acer, who reportedly recently presented one of the newest model of Nitro 5 Spin notebook is staying digadang to anticipate the launch of Intel’s new flagship CPU, the 8th generation Intel Core or better known as Intel Coffee Lake. 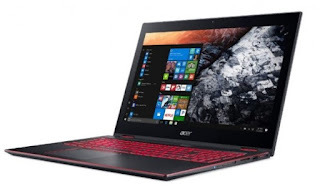 Known as a casual gaming convertible laptop, the Acer Nitro 5 Spin is equipped with 360-degree rotating hinges to position many ways depending on the workload and the existing environment. Bringing aluminum chassis with black brushed hairline finish and red accents, the latest Acer convertible laptop has also been equipped with 15.6-inch IPS display panel that supports 1920 × 1080 pixel resolution. In addition to LED-backlit keyboard support and a battery that has up to 10 hours of operating life, the laptop also comes with a 512GB SSD PCIe and Nvidia GeForce GTX 1050 graphics card. It also includes Wi-Fi MUO 802.11ac network connectivity support for access Internet network wherever and whenever. Rely on the 8th generation Intel Core processor (Coffee Lake) as the system performance hunter this time, signaling that the debut of Nitro 5 Spin can be regarded as the first notebook convertible debut in the line of laptop products made by Acer so far that adopted Intel’s flagship processor. Next post Xiaomi Will Launch Android One Smartphone Without MIUI?